Wines by Poderi Marini represented by Mondo Vino Wine Agency in Toronto, Ontario, Canada. Wines from Calabria are difficult to come by, especially ones that are this good.Vintages are much more consistent in Calabria compared to the north of Italy. 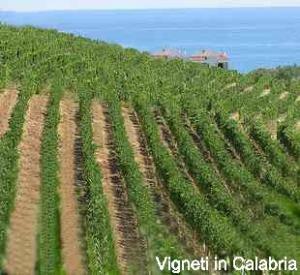 Magliocco is another grape which rivals only the big boys...Barolos and Brunellos. In a recent blind tasting sommeliers picked Basileus Magliocco over some very well known Barolos and Brunellos. 2011 Basileus IGT-Magliocco: A pure expression of the grape. Very dense and rich. Palette of mineral, dark chocolate,licorice, and black fruits almost macerated in alcohol with a great deal of finesse and solid structure. Aged for 12 months in Large Oak Casks. 2012 Elaphe IGT- Aglianico, Magliocco: A blend of native grapes. One sip reveals the deep south. Packed with wild herbs, sweet spice and earthiness with a hint of smoke. Well-balanced with an elegant elvoled finish. 2016 Korone IGT- Aglianico, Sangiovese Rosato: Enjoy this very approachable wine which has a big nose of very ripe red fruits, spice and a vein of minerality. Nicely balanced with a persistent medium plus finish.